Have You ever Wondered How to Make Free voice calls from PC to mobile or Landline around any corner of the World ? – Shocked!!! Yeah You can Make Free voice calls from pc to mobile or any Landline number in India or any other Country also for absolutely Free of Cost.So Here I am going to Tell you very Interesting way to Make Free voice calls from your PC to any mobile or Landline for free of Cost.You just need to have an Internet Connection on Your Computer or PC to make free voice Calls.How to Increase You Tube Buffering Speed You will Find lost of Applications or Software available on the Internet that allows you to Make Free Voice Calls From PC to Mobile or Landline.These Free Software or Applications lets you talk to Your Friends or Family members through Your Computer or PC without charging any fees i.e Free of Cost.Here I am going to Discuss how to Make Free voice Calls from PC to Mobile in India or any other Countries Using Yahoo Messenger. High Speed Internet Broadband Connection. 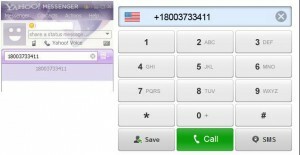 Yahoo Messenger Supporting Voice Messaging Service – Download From Below. 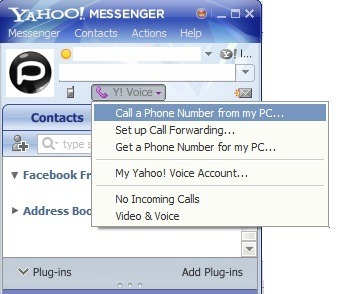 Login to Your Yahoo Messenger Account or Create a New Account If you don’t have Yahoo Account. Check all Your Headphone and Microphone Settings and Make Sure that they are Working Properly. Now Dial the Number – 1800-3733-411 as shown below in the Image which is a Toll Free Number i.e You can Make Free Calls to this Number any time. Wait Till your Call is Connected and Wait For the Operator. You Will Listen an Automated Call Voice From the Operator as we used to Listen During Dialing the Customer Care Number From Our Phone. Listen Carefully to Operators voice and Select the Option ‘Free Call’ which is Usually the Last Option. To Select ‘Free Calls’ you will need to Say FREE CALL through Your Microphone. Note – Don’t Press any Button on Keyboard Just Say FREE CALL Loudly from Your Microphone. Now You Will listen an Advertisement from the Operator till Your Call is Connected to the FREE CALL Servicing. Wait till You Listen a Voice Saying ‘PLEASE DIAL YOUR NUMBER’. Wait till Your Call is Connected. Note – Yahoo Messenger Allows You to Call Upto 5 Minutes Only therefore after Disconnecting follow the Same Procedure to talk again. Here Below is a List of Some Free Voice Calling Software’s that you can Use to make Free Voice Calls From PC to Mobile or Landline.Though some of the Following Software’s are not Valid for Making Free Voice Calls From PC to Mobile in India and are Limited to Only US Countries i.e Canada etc. Google Voice is One of the Best Free Voice Calling Software for PC that lets you make Free Internet Phone Calls From your Computer or PC.Google Voice allows you to Make Free Voice calls from PC to Phone via Google Talk Browser Plugin and Make Calls From PC to PC Using the Google Talk Service.You Can Even Make Conference Calls Using Google Voice Servicing. 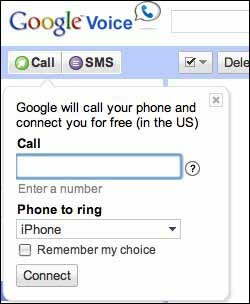 Important – Till Now Google Voice Service is Available Only is US and Canada. 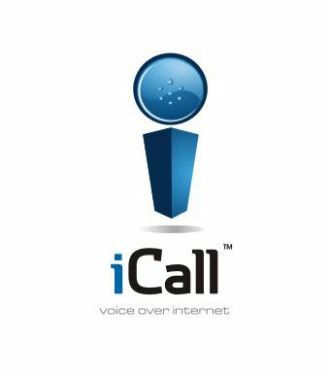 iCall is also one of the Leading Free Voice Calling Software For PC Available on all Major Platforms i.e Windows,MacOS,Linux etc .Similar to Google Voice iCall also allows you to Make Free voice calls from your Pc to mobile only in US or Canada.iCall Offers Limited Calling upto 5 Minutes only but You can again redial the number as many times as wish. I will comment after trying!!!! Hii Pishang , Google Voice Free Calls Works only in US Countries till Now…So try Yahoo Messenger In India to Make Free Voice Calls…. I live in Iran.is there any way free calls here? Very very thanks you solved our problem through this blog.May God gives you more power. You can give it a try..
Should I have a good Internet connection in PC only or it is required in mobile also? How to Create your own Personalized Browser with MakeMyBrowser!! !